Nobody really anticipated being all that surprised by Deadpool 2. A very meta sendup of the whole superhero genre, it's not the kind of movie you typically look forward to for its story or big reveals. But the sequel managed to pull off a major surprise with its reintroduction of the Juggernaut to the X-Men universe — a literally huge secret that nobody saw coming. As the special features for Deadpool 2's home media release reveal, it took a lot of effort to keep the existence of the Juggernaut a surprise for the general public during the filming of the X-Men spinoff's sequel adventure. But even with CIA-level on-set operational security, there were still some mishaps the production had to contend with along the way that risked spilling the beans about the Juggernaut to the public before the movie saw release. From all the ways the character's involvement nearly leaked to the surprising role Ryan Reynolds had in bringing him to life, here are all the secrets about how Fox unleashed the Juggernaut in Deadpool 2. Deadpool 2 kept a lot of its biggest jokes a secret, from the near-immediate death of Deadpool's X-Force to the unexpected inclusion of Matt Damon and Brad Pitt in easy-to-miss cameos. But when it came time to film the movie, the Juggernaut secret proved uniquely hard to keep a lid on — as anyone who's seen it can tell you, he's much more than just a cameo. Instead, Juggernaut is actually a big part of the movie's entire third act, making it difficult to keep his inclusion in scene after scene a secret. "Sometimes the secrecy thing gets ridiculous," said Paul Wernick, a writer and executive producer on the movie, speaking in the special features on Deadpool 2's home release. "Our sides came in red, because apparently you can't photocopy red, and you've got to turn your sides in to the script coordinator at the end of the day. And then she shreds them. It's like working in the CIA sometimes." One of the hardest things about keeping the big Juggernaut reveal a secret during the production of Deadpool 2 has to do with just how physically big the character actually is. 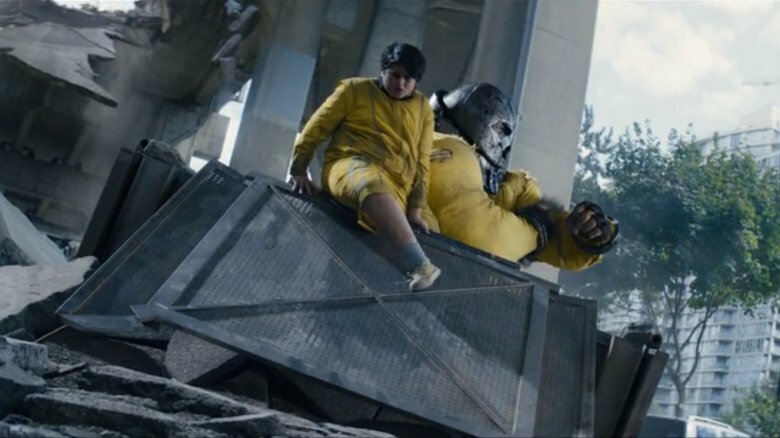 Unlike his appearance in X-Men: The Last Stand in 2006, the character in Deadpool 2 is completely computer-generated, allowing his inhumanly hulking build from the comics to be translated accurately into live action for the first time. 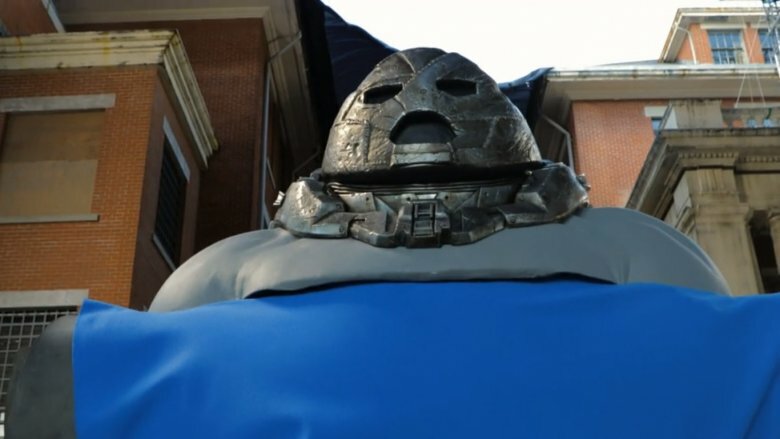 But even though the details of the Juggernaut for the finished movie were all filled in on an expensive array of computer servers, there still needed to be an actual physical reference on the set to shoot with — which caused some problems. 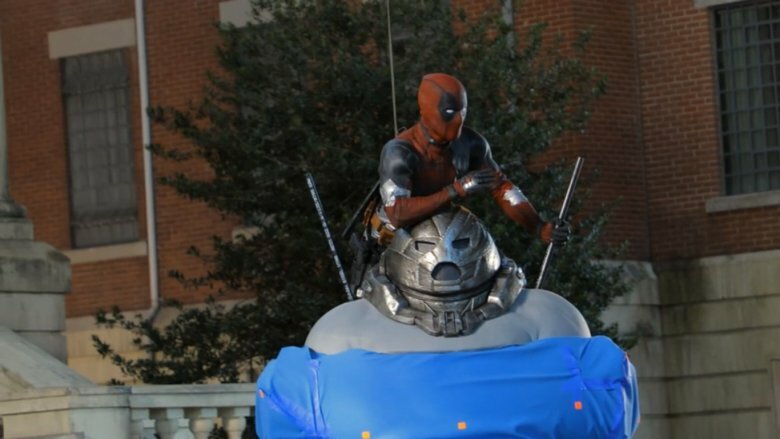 "If you've seen the physical reference, it is definitely Juggernaut," said Rhett Reese, a writer on the film, in a Deadpool 2 special feature. "It's like his outline — you can see the helmet — and then below him, it's just this kind of amorphous blob." From Reese's comments, it appears the production had little choice but to film with the spoilery prop in plain sight and just hope for the best. "Anyone who has any background in comics, if they were on set that day, would spy that particular getup and go 'A-ha — Juggernaut's going to be in the movie,'" Reese said. Deadpool 2 kept some aspects about the Juggernaut a secret even through the movie's theatrical release — particularly the involvement that star Ryan Reynolds had in bringing him to life. As it turns out, Reynolds himself actually did the physical motion capture work for Juggernaut, suiting up and playing the CGI character for the sake of efficiency. Reynolds did more than just slap on one of those weird gray mo-cap suits and flex a little for his part of the process, though. He also performed the character's dialogue, providing all the quips about the many profane ways the 'Naut planned to kill the heroes, with his performance all being filtered and processed to a near-unrecognizable state in post-production. Reynolds demurred when it came to actually taking credit for his performance as the character, however, never really bringing up his involvement in the motion-capture or voice-acting process. In the credits of the movie, Juggernaut's performance is credited "As Himself." "These incredible teams of renderers are the guys that like bring him to life," Reynolds said. "That one took a village. That was all of us. Through jumping in, we all have a little piece of Juggernaut." While Juggernaut is typically drawn with a big giant helmet capable of keeping telepaths from invading his mind, the Juggernaut of Deadpool 2 is still pretty emotive. 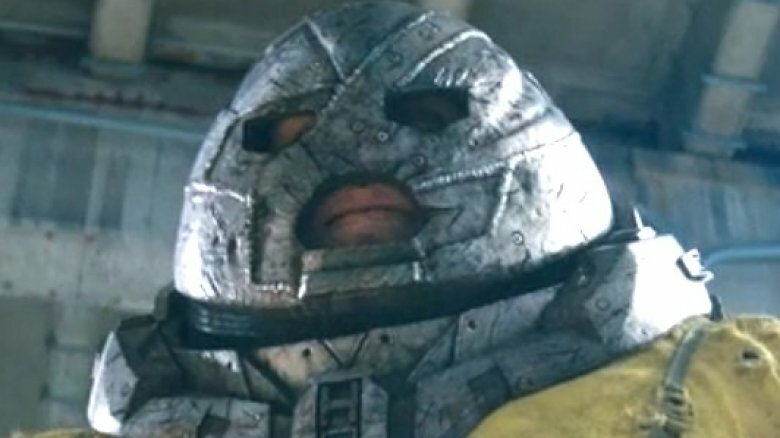 His asymmetrical headgear in the movie looks a lot more like melded scrap metal than anything high-tech, with giant eye and mouth holes to show audiences the man behind the mask. If you look closely, that man looks a whole heck of a lot like director David Leitch. 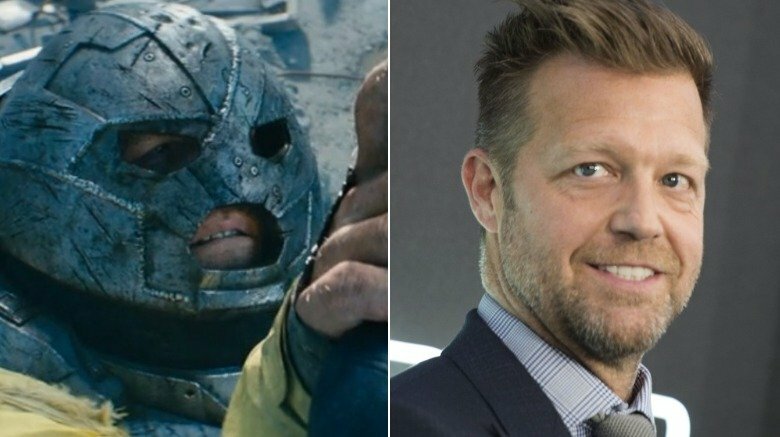 "It just became efficient for time that instead of keeping a mo-cap actor around, I would just do the facial capture," Leitch said, speaking about his involvement in making the Juggernaut feel real. As a result, functionally, the Juggernaut in Deadpool 2 is basically a nightmarish combination of Ryan Reynolds' and David Leitch's performances — served up along with a whole heaping helping of CGI gravy, of course. "He's definitely a mash-up of us, and that's really borne out of the need to work efficiently," Leitch continued. "Sort of a weird amalgamation." In another example of the unpredictable avenues by which news can get out of a movie set, the Juggernaut secret was very nearly spilled thanks to a visit from one of the greatest guitarists on Earth. As the special features of Deadpool 2 delve into, a set visit from Slash — the Guns N' Roses and ex-Velvet Revolver guitarist — almost compromised the secrecy on set, with people too excited about the presence of a rock god to so much as throw a tarp over the Juggernaut model. "Slash showed up, and the crew lost their f***in' minds," said Ryan Reynolds, discussing the fateful encounter. "Rightly so. Slash is a legend. But yeah, suddenly all these pictures of Slash were on peoples' phones with, like, Juggernaut in the background and like all this [stuff]. You're like 'Now guys, you can't post any of those! Or at least, Photoshop the crap out of them!'" 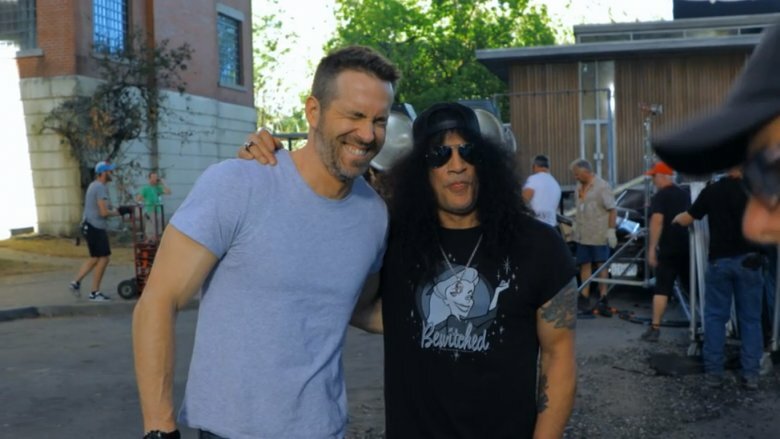 Apparently, the guitarist just stopped by the set while on some downtime during a tour with Guns N' Roses, who played a show in Vancouver, British Columbia around the time that Deadpool 2 was filming there. When the pics popped up on Instagram, some thought he was there to make a cameo in the movie — but it appears he was just hanging out. Was he even invited? Probably doesn't matter when you're the dude who played that immortal riff on "Sweet Child O' Mine." 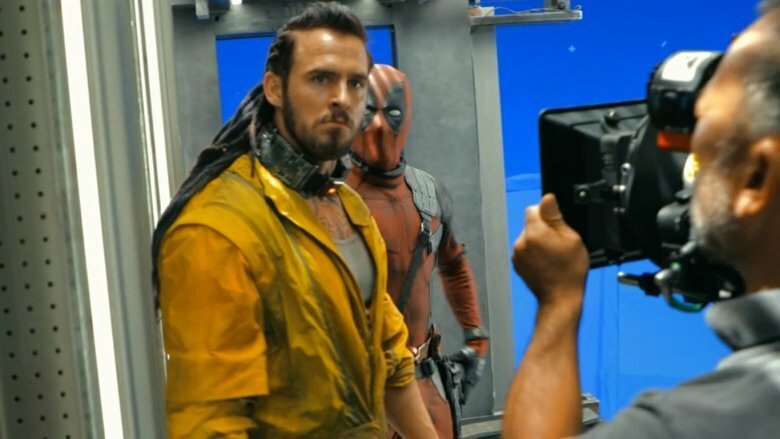 Juggernaut's appearance in the movie was also nearly revealed thanks to the casting of a completely different character — Jack Kesy as Black Tom Cassidy. "It's hard to reveal any little nugget without fans speculating what might be coming next," said Wernick. "As soon as it was announced that Jack Kesy was playing Black Tom, everyone speculated, 'Oh, well it's Black Tom — then Juggernaut must be in the movie,' because Black Tom and Juggernaut are linked in the comics." As it turns out, this announcement was actually a crucial failure of the movie's secrecy measures, and a severe underestimation of fans' abilities to extract meaning from the tiniest molehill. "It wasn't released that Jack was playing Black Tom," Wernick continued. "It was released that Jack was playing — I think it was 'Black Bob,' is what kind of the code name was. Which was a terrible idea. They couldn't have come up something else other than 'Black Blank'? Couldn't it have been, like, 'Larry?'" As it turned out, Black Tom barely even appeared in Deadpool 2, with that role getting cut down significantly prior to release — meaning this secret ultimately almost leaked on his behalf for no real reason. It just goes to show how hard it can be to stick the landing on these months-long, massive-budget productions — especially if you're trying to keep things a surprise. Just making the Juggernaut is hard enough. Keeping him a secret? That's a real impressive feat.